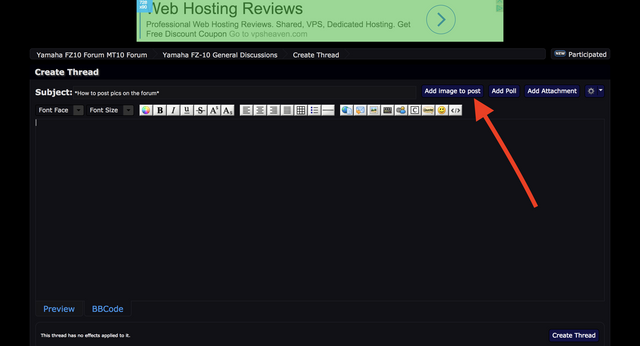 To upload pics, click the button that says "add image to post". Then, choose pics from your pc, then click upload, then it dumps a pic code into your post for you. Here is a helpful video to make it easier for all abilities! If you somehow still don't understand, post your questions below.